Don’t forget to arrive early, say 6:45pm; handover your BYO at the bar to be put on ice and you will receive a complimentary glass of sparkling; downstairs in the bar. Frida is an icon made famous by her paintings and life of “pain and passion” and for her intense, vibrant colours. 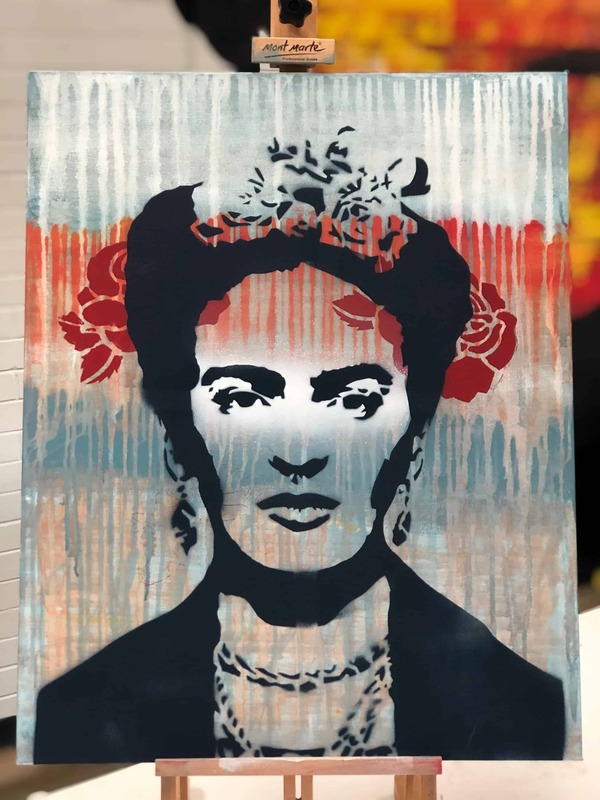 We capture a little of the Frida spirit using a classic street art dripping background and stencils of iconic Frida flowers. Take stock of the colours you use in your home and pick colours that complement.